Review of the correct usage of will and going to. The sentences are based on The Dork Diaries. 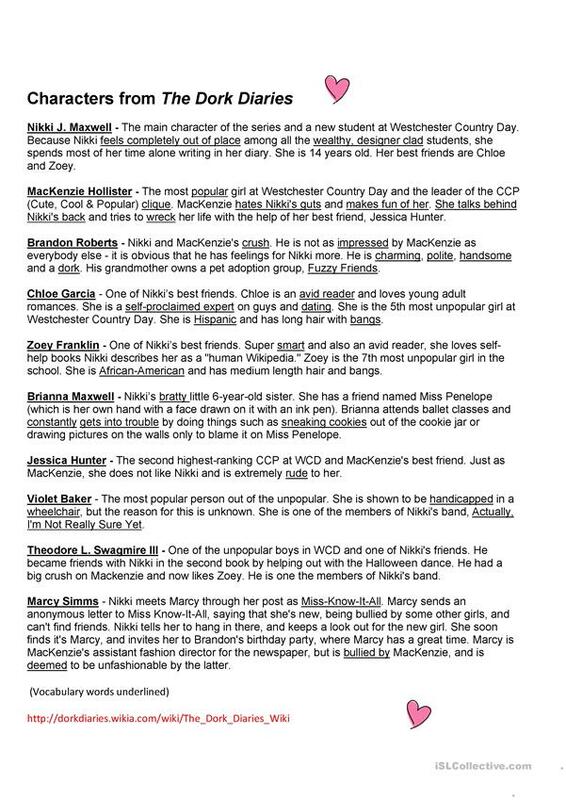 4 pages in total: full color, black and white, key, and character list with underlined vocabulary. These books are the girl's counterpart to The Wimpy Kid series. 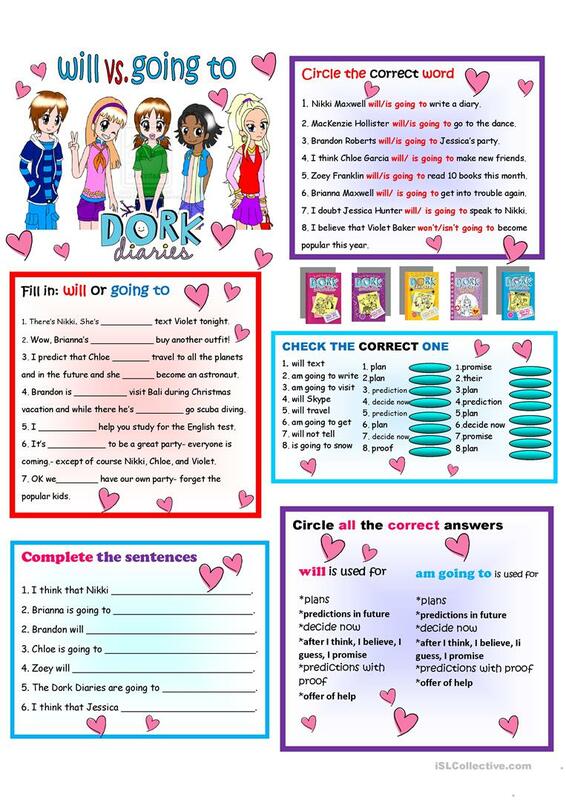 The present printable, downloadable handout is meant for high school students, elementary school students and students with special educational needs, learning difficulties, e.g. 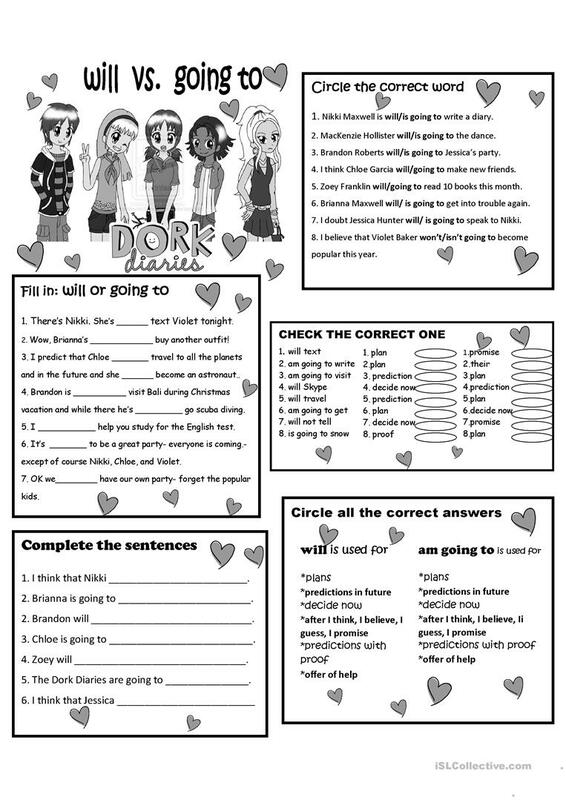 dyslexia at Elementary (A1) and Pre-intermediate (A2) level. 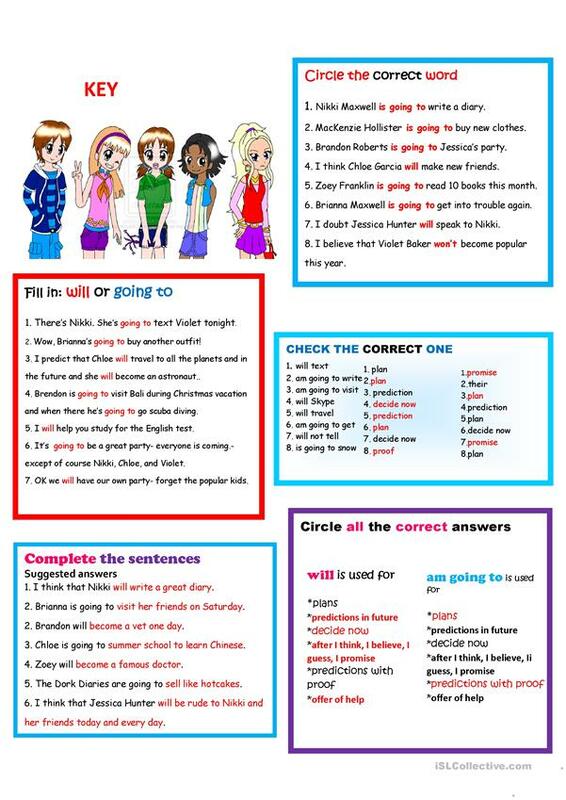 It is great for revising Future tenses in English, and is a valuable material for improving your pupils' Writing skills. It is focused on the vocabulary topic of Books and reading, Clothes, fashion, Describing people, Socializing, small talk and Storytelling. You will find the key at the end of the worksheet.